Let us try a mental experiment using what we have observed in the past combined with things we can see which have been promised should Palestine be founded even using the Green Line, the 1949 Armistice Lines which were never to be considered or used as a border according to the Arab demands at the United Nations. 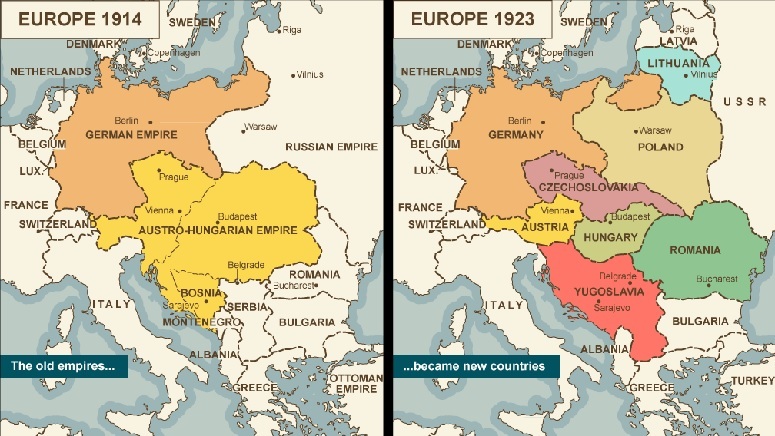 Their reasoning was that as long as there were no definitive borders, they could pretend that Israel did not actually exist. This is one concept which, along with the Khartoum Resolution and its three no’s; “no peace with Israel, no recognition of Israel, no negotiations with Israel,” as guides to the Arab/Muslim mindset we will keep in mind along with the many promises and threats, it is often difficult to tell the difference, which have come from the mouths of Palestinian Arab leadership of Fatah, PLO, Hamas, Islamic Jihad and the Palestinian Authority. What many people are unaware about is that twice Israel has granted the Palestinian Arabs the freedom to prove they were capable of self-rule and forming an economically viable entity on their own on more than one occasion. So, using all we know, and if you have more, please allow us to discuss it from your comments, let us go forth and visualize a future where the Arabs have their Palestine with Eastern Jerusalem and the Temple Mount entrusted to the United Nations and European Union to oversee with the Jordanian Waqf such that it is available to all peoples. We will even act as if the Jews who resided in East Jerusalem and the region of Area C, which according to the Oslo Accords was presumed to belong to Israel, were removed and resettled within the Green Line. All the buildings which Israelis had built including factories and other industrial centers, the shopping centers and everything else was left in tact for the Arabs to utilize for the establishing of an economy for their Palestine. We hear some people asking already, is that not what was attempted in Gaza. To those we ask patience, as we will get to Gaza eventually, but first let us discuss the initial withdrawal of the IDF from regions where the Arab Palestinians resided. This came about after the September 1993 Oslo Accords were enacted. The IDF was withdrawn from Area A in the Shomron and had but a shadow presence in Area B. These were where almost every Palestinian in the Shomron resided and left to be ruled by the Palestinian Authority. Following this agreement called the Oslo Accords, the Arab Palestinians were to prevent terrorism and build a functioning and democratic society within their regions which would lead to the formation of Palestine. They never did any of what they had agreed upon with their economy remaining dependent on foreign moneys mostly from the United Nations, European Union, United States and numerous European nations. As for terror attacks, these listed here are only those which caused fatalities which in and of themselves is still far too many to even attempt to list. For good measure, we figured that in good conscience we simply have to give the link to all terror attacks from the signing of the Oslo Accords through mid-April of 2016, a list far too lengthy to include in an article. These two lists should easily put to rest any argument that the Palestinian Authority or any other Palestinian Arab political or other entity has had any desire to limit or terminate the terror attacks on Israel. Add that now the Palestinian Authority pays terrorists and their families a greater lifetime recompense than can potentially be earned by finding decent employment. This has led to many youths attempting to kill Israelis as a means of providing for their families and that was the intent of the “Pay to Slay” program of the Palestinian Authority. But these attacks, you demand we answer, were the result of the horrific Israeli “occupation” and before Israel stole their land there was peace, right? Well, one might think that was the case but they would be so very wrong. We present this link as proof that the terrorism began before the Six Day War initiated by the Egyptians and immediately joined by the Syrians and Jordanians with some assistance from Saudi Arabia and other Arab nations. The fight using violent forms of attack from the War to Annihilate Israel and her Jews initiated by six Arab nations, numerous militias and support from other Arab nations was initiated the morning of May 15, 1948, which was summarily predicted so succinctly by Azzam Pasha, Secretary-General of the Arab League at that time who stated, “It will be a war of annihilation. It will be a momentous massacre in history that will be talked about like the massacres of the Mongols or the Crusades.” Contrary to Azzam Pasha’s dream of a complete and total erasure of every trace of the Jewish State, Israel survived only losing Gaza to Egypt and the Shomron to Jordan, the area Jordan illegal annexed, granted citizenship to the Arabs while evicting or murdering the Jews caught behind their lines and calling it the West Bank as all its former names, Shomron, Samaria, and especially Judea all sounded way too Jewish. Below we have included a map which depicts the armies which invaded on that morning. By the next day, Saudi Arabian troops had also entered the fight entering from southern Jordan and initially sweeping into the Negev region filling the gap between the Jordanians and the Egyptians. The Jews of the nascent state of Israel, merely hours old, without any formal military and simply scattered armed groups who had never cooperated joined and established the semblance of a command structure and soon were repulsing the attacks. This was when many of the Arab villages within the Israel lines began shooting at the supply vehicles or ambushed Israel positions from behind. This led to these villages being evicted across the front onto the Arab side, as it would have been suicide to leave such forces in the rear areas. 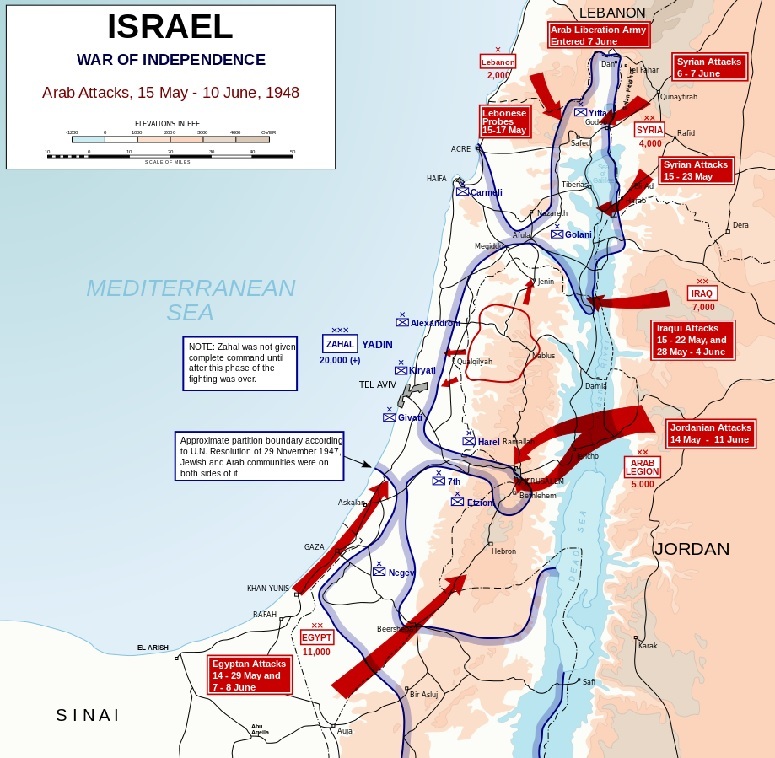 After the United Nations insisted that the fighting be halted, backed by the Europeans, United States and Russia, which unsurprisingly was initiated soon after the Israelis gained the offensive and were pushing the Arab armies from the lands granted Israel by the San Remo Conference and numerous other treaties from the aftermath of World War I, the Israelis made a desperate yet successful assault to break the siege of Jerusalem and open a roadway from Tel Aviv to the western side of Jerusalem. This was what led to Jerusalem becoming a divided city with most of the city originally in Jordanian hands. Within a decade, the Israeli side of Jerusalem had surpassed the Jordanian side for structures and businesses as the Jordanians did little to develop the lands they annexed, they simply were satisfied that the area was not under Israel (Jewish) rule. For an in depth look at this war one can read this accounting by WikipediA. But enough about history, what about the more recent accounts of successful Arab attempts at building a normative society for the Palestinian Arabs. Immediately, beginning in September of 1993 after the signing of the Oslo Accords, The IDF was pulled from areas presented to Yasser Arafat and the newly created Palestinian Authority (PA), an effort to rename the PLO terrorist organization making it a respectable civil authority wiped clean of its terrorist past. We already noted the problems from 1993 to the year 2000 above. In late September 2000, the PA initiated the Second Intifada. The actual reasons for this violence have been debated and every group has their own facts to present. The initial claim was that it was the fact that Ariel Sharon walked on the Temple Mount after which there was a claim that he had entered the al-Aqsa Mosque thus defiling its holiness. Reality is that Sharon did not enter any building on the Temple Mount. There are claims that the death of al-Dura, a young man filmed crouching behind some barrels while IDF and PA terrorists exchanged fire. The claim was the IDF killed him. The entire event was filmed by a stringer for French Television Channel 2, from which a legal battle ensued that they only televised selected pieces which backed their version and the Arab version that the IDF shot the youth. The result of numerous investigations was that the IDF could not have possibly have shot the youth as he and his father were not in direct line from the IDF position. From this one point, the various investigations only can speculate whether or not the youth was even shot, let alone murdered. One interesting investigation, which has since been buried, a forensic investigator carefully examined the film noting that the sound has been altered briefly with it being almost turned off, during which period he believed the cameraman flinched. He proposed that there had been shooting from near his position which was also responsible for the round bullet holes in the wall around the father and youth. This investigator pointed out any shots from either side of the firefight would have struck the building at an oblique angle leaving an oval shaped hole, and the holes around the father and youth were round which means, he claims, that the shots were fired at a right angle to the wall and not from the IDF or the PA forces. He also agreed that the IDF position could not even see that side of the wall, let alone shot and strike it. Eventually, in a lawsuit against France Channel 2 for defamation did the final reality come to bare. The final decision in the French court was it was unclear if the youth was even shot as he appears to move a number of times after presumably having been killed, there was no death certificate for the death and no corroborative evidence for the death of the youth with the only recorded death for an al-Dura that day was that morning in a hospital from illness, not shooting. This was the final verdict of the French courts after a series of legal battles to force France Channel 2 into releasing the entirety of the video shot at the scene, something they resisted to the last. So, the two most popular myths about the Second Intifada being the result of Israeli insult to the al-Aqsa Mosque by Ariel Sharon or the (intentional) shooting death of al-Dura by the IDF both proving to be completely false, what did start the Second Intifada. According to paperwork, plans, diagrams, maps and other evidence recovered by the IDF from the PA headquarters building in East Jerusalem proved that the Second Intifada had been planned before the Camp David Accords. The PA and Yasser Arafat had decided before even meeting with Israeli Prime Minister Ehud Barak and United States President Bill Clinton at Camp David that there would be no agreement with Israel, remember the Khartoum Resolution. This also explains the actions of Yasser Arafat in the secondary period of negotiations in Paris, which we will now explain. President Clinton asked Yasser Arafat to provide him with the minimal demands he desired in order to reach a peace with the Israelis. Arafat provided him with a set of demands assured that the Israelis would never divide Jerusalem, remove so many towns or allow them to have most of the Green Line as a border and whatever else he had included. President Clinton, being a very persuasive individual, then met with Israeli Prime Minister Barak and after wrangling and arm twisting, he agreed to meet Arafat’s demands in order to have peace. The next morning, sitting in the rotunda of the lobby of the hotel, there was President Clinton, Secretary of State Madeline Albright, Prime Minister Barak, some aids and three sets of papers with the agreement all ready for the signing and a camera crew to capture this monumental achievement. Arafat came briskly down the stairs, turned to his right, strode hurriedly out the door into his waiting vehicle to the airport and back to Damascus. This was followed by a few weeks of harried and urgent attempts to reach an agreement which Arafat simply refused to even answer the pleadings from President Clinton and then came the inauguration of George W. Bush and the end to President Clinton’s Nobel Peace Prize. The reality is the Second Intifada was already planned; it was just awaiting any excuse that could be manufactured such that the world would blame the Israelis, something they are always prepared to do at the slightest opportunity. This slaughter initiated by the PA (PLO) resulted in just over a thousand dead Israelis with approximately eight-thousand casualties (many resulting in permanent disabilities such as blindness, loss of limb, severe damage to internal organs and other severe difficulties) with over four-thousand killed (the majority were presumed to be combatants or in the act of conducting a terror attack such as a bombing) which includes the five-hundred-seventy-seven Palestinians killed by Palestinians (of those, 120 were Palestinians killed by Palestinians for suspected collaboration with Israel). The majority of the Palestinian deaths came when Israel brought an end to the Second Intifada with Operation Defensive Shield. It was during this operation that the battle in Jenin led to propaganda of another IDF massacre which was proven to be completely false and that the casualties in the battle for Jenin were almost entirely combatants on both sides. We gave more in-depth coverage of the hoax around the Jenin Massacre replete with pictures and map showing the exact amount of damage done to Jenin. It will amaze you if you are unfamiliar and still believe that the Israelis almost leveled the entire city, they did not even come close. The Second Intifada finally ran out of energy sometime on 2005 as the two sides finally agreed to end the killing. That was the result of granting the Palestinian Arabs with Yasser Arafat as their President freedom and pulling the IDF and all Israelis from their region. One might have thought that the Israelis might have learned something after such an experience, but the quest for peace has its own allure. Thus, come August and September of 2005 we have Ariel Sharon as Prime Minister forming his own party, Kadima, after the Likud refused to allow him to vacate Gaza and gift it to the Palestinian Arabs as an experiment by American President George W. Bush and likely planned and sold to him by Secretary of State Condoleezza Rice as part of the Roadmap where the Palestinian Arabs were to be granted an opportunity to prove their desire for self-rule. This led to the Gaza Disengagement, a horror for which Israel is still paying with lives and millions of shekels (or dollars) in damages to this very day. Obviously, this included pulling every Israeli residing in Gaza back within Israel, removing the IDF, removing IDF positions and bases, and removing other Israeli structures. It also required the reinternment of every Israeli who had been buried in Gaza as otherwise their graves would likely have been desecrated. Israel left their greenhouses intact and operational in order to permit the Arabs to have a basis for an economy. These were millions of dollars worth of greenhouses which already were serving a prosperous trade in fruits, vegetables and flowers shipping most of it to European markets. Within two years, the PA was replaced by Hamas in a bloody coup and the greenhouses were torn to pieces with some parts returned to Israel in the form of rockets, as the greenhouse pipes were turned into rockets and launchers also using struts and whatever else they could. The Gaza withdrawal proved exactly how much the Palestinian Arabs desire their own state, they do not. What they desire is an end to the Jewish state. Gaza was turned into a launching point for terrorism and any form of destruction of Israel from rockets to suicide bombers to infiltration tunnels to incendiary balloons or kites and balloons with explosive devices attached within toys hoping to have an Israeli child play with it when it is set to explode. Already there have been three wars with Hamas, Islamic Jihad and their allies and still there has been no decrease, if anything, there has been an increase in the efforts to harm Israel from within Gaza. This past week, Hamas called for the rioting along the Gaza border to be brought to an end. Apparently, they were being insincere about making such a call or Hamas has lost control of their people as the rioting has continued despite the presumed call for them to end. Gaza is an example of what would result if the Palestinian Arabs were ever to be granted a state of their own. Actually, they have two, Gaza and the one in northern Shomron, which were given to Mahmoud Abbas and the PA to rule. The IDF was initially pulled out of the region in the Norther Shomron but were requested in secret to return in order to work with the PA Security Forces and assist in resisting attempts by Hamas to replace the PA in the Shomron as well. Abbas will keep his IDF protection as then he can trust them to work against Hamas and their takeover. 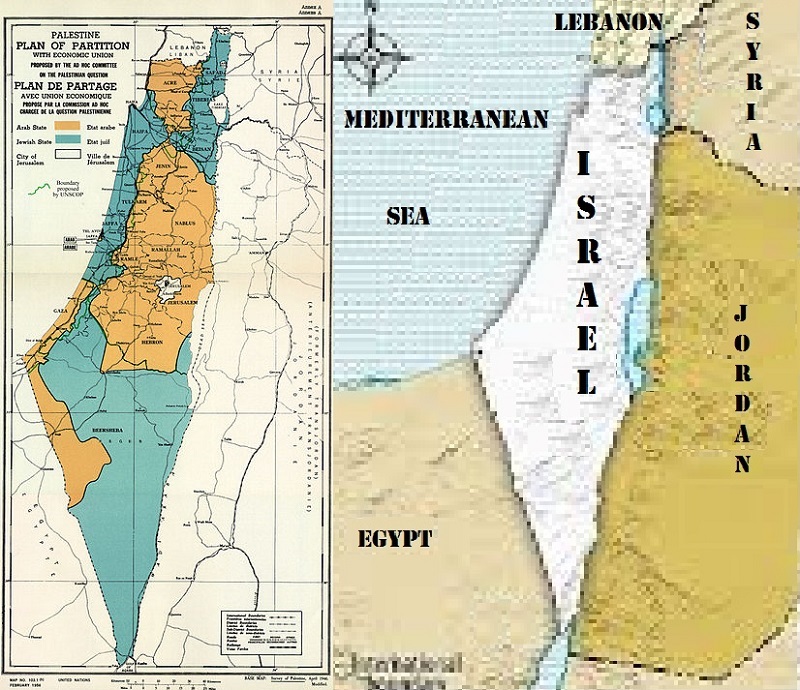 The truth is Israel has given away land and more land all in the name of peace as indicated by the above maps. 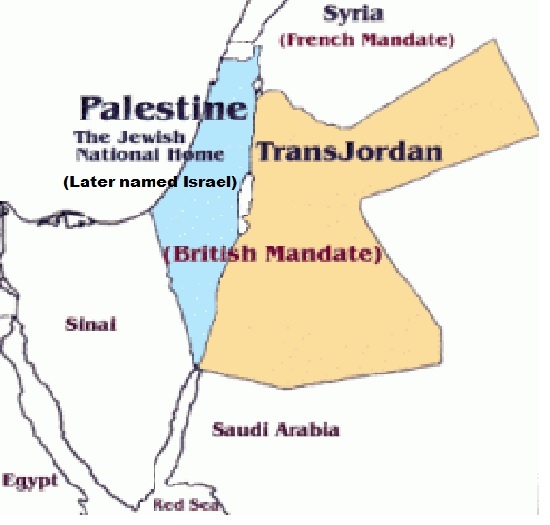 Israel already was divided between Arabs and Israel when Jordan was formed out of 78% of the British Mandate Lands initially intended for the Jewish State. 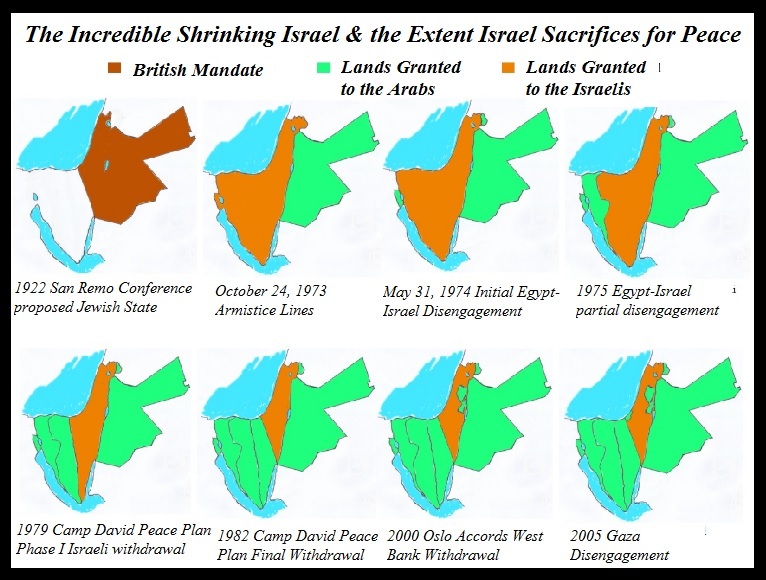 Israel gave back the entirety of the Sinai Peninsula, an area of land many times larger than Israel and which Israel had built additional oil processing and pumping stations for a cold peace with Egypt. Israel offered land to Jordan and to Syria for peace. Jordan accepted peace while Syria declined and remains in a state of war under armistice with Israel. There have been incidents of terrorism originating from Jordan including where a Jordanian armed security personnel shot at a number of Israeli schoolgirls visiting a region on the border between Israel and Jordan resulting in the deaths of seven Israeli young girls and injuring five more young girls and one teacher. The claims that Israel is only seeking to increase the lands under her control and is an expansionist regime are simply not born out by the facts. Israel has made offer after offer where she would give land to the Arabs, including offers in 2000 and in 2008 where a State of Palestine was offered and the PA refused the offer simply because it did not meet their demand that Israel be placed under Arab rule and the Jews forced to find a new home or accept whatever treatment the Arabs deemed proper. Israelis are aware that should they ever come under Arab rule, they would be exterminated to the last Jew and likely most others who are not Muslims and even many Israelis who follow Islam simply because they were not sufficiently active in the destruction of the Jewish State. The Arab Israeli conflict continues for one simple and undeniable reason, Israel exists and is ruled by those who are not followers of Islam. Until either, the Islamic nations accept the existence and final reestablishment of the ancient state of Israel or they defeat the Israeli forces and destroy Israel, the conflict will remain undeterred. 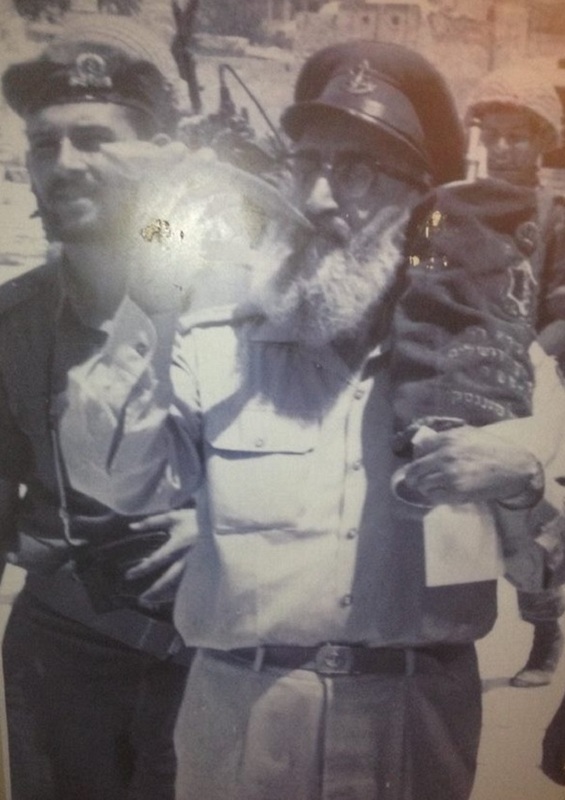 As the world now appears, the Arabs will continue to work tirelessly for the destruction of Israel through boycotts, terrorism, open periodic warfare and pressures through the United Nations and other world bodies in their efforts to reach their final goal agreed upon at the Khartoum Conference of September 1967, the death of the Jewish state. Meanwhile, Israel will continue to build their nation and make discoveries and other advancements which serve all of humankind and are willingly shared with the rest of the world. Israel is often the first nation to arrive on the scene at natural catastrophes and other disasters to assist in the recovery and treatment of those in need. Israel will continue to seek peace while the Arabs refuse any offer where Israel remains, which eventually will force Israel to seek an alternative resolution which will not be nearly favorable for the Arabs living under these two murderous terror regimes, the PA and Hamas in Gaza. If there is one thing that can be said for Israel, they often do the wrong thing for the right reason and then face a myriad of consequences. At the close to the June 1967 Six Day War, after Israel had liberated the entirety of the Shomron, Judea and Samaria, and all of Jerusalem, then Defense Minister Moshe Dayan convinced the center-left government of Golda Meir to allow the Jordanian Waqf to control the Islamic buildings constructed on the Temple Mount. This has proven to be yet another instance of the Israelis attempting to do the compassionate thing and receiving nothing but spite and hatred in return. By now most everyone has heard of the term referring to the Temple Mount of the “status quo” and how not permitting anything to change so as not to disturb the balance between the major religions and their interest in the Temple Mount. Here is some advice for understanding the concept of the “status quo” in reference to the Temple Mount. Whenever the term “status quo” is trotted out, you can bet that the Waqf and its Jordanian masters have just made an explicit change to the current rules through which they are denying Jewish and Christian, mostly Jewish, claims and attachments to the Temple Mount attempting to make the Temple Mount a purely Islamic holy site. The latest change to the “status quo” was initiated by the King of Jordan. It came about as the Waqf attempted to establish yet another Mosque on the Temple Mount which would have taken possession of a Jewish holy site and removed another entrance to the Temple Mount. The Islamic creep on the Temple Mount is reminiscent of the Arab tale of the Camel and the Tent. Initially, immediately after the Six Day War, the Temple Mount was open for people to visit and to enter the Church of the Holy Sepulchre while the al-Aqsa Mosque and the Dome of the Rock remained limited access. The Waqf initially was cautious about making changes but with time, they restricted which entrances were available for non-Muslims to use until they restricted such to a single entrance accessed by a pedestrian bridge in need of replacement. When Israel attempted to rebuild this entryway the Waqf claimed that the Israelis were undermining the Dome of the Rock and riots ensued. These riots were used by the Palestinian Authority to claim that they were responsible for all the Muslim sites, the Dome of the Rock, the al Aqsa Mosque and the Church of the Holy Sepulchre. These claims coincided with the concept that Jesus was the first Muslim Palestinian who was persecuted by the Jews. The Palestinian Authority also claimed that the churches within Bethlehem were Islamic holy sites and they began to de-Christianize Bethlehem through intimidation, confiscation and outright violence against the Christian population of Bethlehem and the rest of the territories under the Palestinian Authority. Soon thereafter, the Christian population of Bethlehem had dropped precipitously. Quoting an article by Giulio Meotti from Christmas of 2018, “Under the control of Israel (1967-1995), the Christian population of Bethlehem grew by 57 percent. When Israel delivered the city of Jesus to the Palestinian Authority in 1995, Bethlehem had an 80 percent Christian population. Now it is just 20 percent.” Since the 1960’s and the end of the Arab world across the Middle East and North Africa (MENA) expulsion of over 95% of their Jews, this has been the plight of the Coptic Christians in Egypt, the Maronite Christians of Lebanon and Syria and other Christian minorities across the region as they attempt to attain 100% pure Islamic populations by the destruction of all else. This has also been the tale of the Temple Mount and the Jordanian Waqf. The most audacious move by the Waqf was their claim that the entirety of the Temple Mount and the Western Wall and plaza were part of the al-Aqsa Mosque complex. 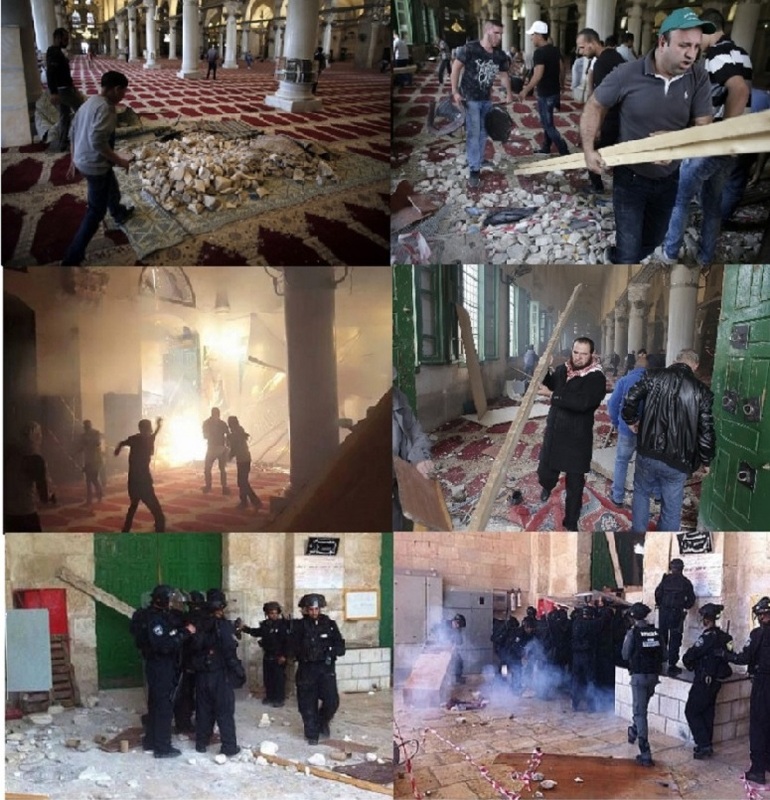 There have also been numerous cases of weeks of rioting when Mahmoud Abbas, Waqf officials and others have claimed that the Jews were defiling the al-Aqsa Mosque (see video below) or attempting to tunnel under the Dome of the Rock in order to collapse the structure. Such provocations are nothing more than a call to arms for rioting in, on and around the Temple Mount Jews and other non-Muslims. These riots often use the al-Aqsa Mosque as their command station and the place they store rocks, bottles for Molotov cocktails and other items for use in the violence. Another reality which Israel in general and Jews proud of their history in particular have had to put up with has been the intentional destruction by the Waqf using heavy construction equipment such as bulldozers to destroy any trace of the First or Second Temples by excavating large areas atop the Temple Mount claiming to lay new water lines. Just for the record, there have been no improvements or upgrades performed to the plumbing on the Temple Mount, no surprise there. Further complaints have been made by the Waqf and echoed by the Palestinian Authority have claimed that the Jews were attempting to destroy the Islamic centers on the Temple Mount, preparing to build the Third Temple on the ruins of the al-Aqsa Mosque and various other insanities which immediately spurred days of rioting. These claims and others almost always come the week before major Jewish holidays in order to close the Temple Mount to the Jews when there is an increased desire to walk upon the Temple Mount. What has always amazed us when the Muslims riot on the Temple Mount; they close the area to Jews who are not rioting. That is simply rewarding offensive behavior, thus it should be no surprise that this tactic is still being used. 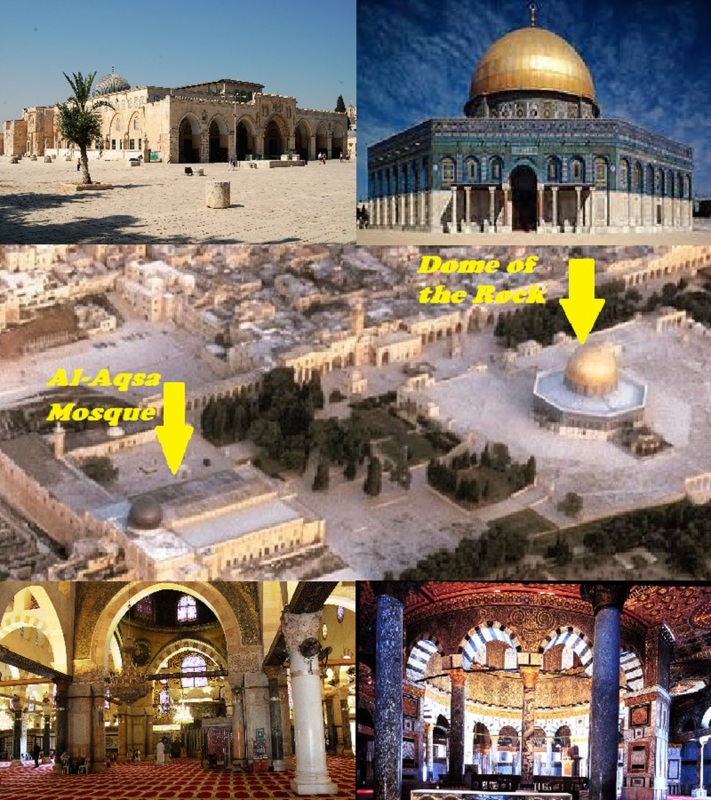 There is another falsehood perpetrated by media portraying the Dome of the Rock as being the less impressive al-Aqsa Mosque. For clarity, we have included a small guide to the difference below. Further down, we will include some pictures of the al-Aqsa Mosque being used to store rocks and weaponry as an armory for the rioting on the Temple Mount. After watching news shots and other reporting which has depicted the Muslims desecration of their own Mosque for use as a weapons platform and station from which to launch attacks knowing that when they retreat inside the Mosque they are more often than not safe from any law enforcement or other forces used to quell the rioting, it is hard to take their claims seriously any more. Now comes the latest outrage, which is hard to top the past where Jews are not permitted to pray on the Temple Mount, no Jewish, Christian or other religious material or jewelry including religious clothing is permitted on the Temple Mount or whatever can in any means be perceived as a challenge to the supremacy of Islam can be permitted on the Temple Mount. That is the current “Status Quo” which is a far cry from the original status quo when Israel was largely responsible, where all were permitted through any entrance and prayers and religious clothing and materials were freely permitted, and the Waqf only took care of the Islamic structures. Slowly but inexorably the Waqf has taken control of the Temple Mount and made it a completely Islamic place where all others are treated as the Dhimmi the Quran claims they are. What has always amazed us is how whatever the Waqf, the King of Jordan or the Palestinian Authority claim concerning the Temple Mount is repeated around the world to be the “Status Quo” despite the researchable fact that the “Status Quo” has been quite liquid and always becoming more restrictive of Jews and Christians. It is as if the world is frozen and afraid to even counter anything which comes from Islam, as they must be treated with kid gloves, as they are so easily offended. Guess what, as long as they get their way by acting offended, they will be the terminally offended. Despite the attempts of the Waqf, the Jordanian King, the Palestinian Authority and whatever other Islamic body, especially including the government of Iran, to remove the Temple Mount from Judaism, Jewish visitors to the Temple Mount has gone from 2,000 visitors a short seven years ago in 2004 to 30,000 in 2018. This number is a mere shimmering shadow when compared to Jews visiting the Western Wall where they ceased attempting to record the actual numbers. These two sites are the holiest in Judaism while Jerusalem has largely been an ignored backwater for Islam until the Jews returned and began to rebuild their precious Jerusalem. For the record, former third holiest sites in Islam include but are not limited to Damascus, Constantinople, Rome, Paris, Vienna and whatever city was the next one to be targeted by Islamic forces. What do you know, Jerusalem fits that role perfectly as the Islamic forces wish to destroy Israel and know were they able to deny the Jews Jerusalem, of simply the Temple Mount, then they would have a far easier fight. This is why the Palestinian Authority demands that east Jerusalem including the entirety of the Temple Mount and Western Wall plaza be ceded as their capital city. King Abdullah II of Jordan said on Wednesday that his position on Jerusalem is “unwavering” and all the Jordanian people are with him. He was quoted by the Xinhua news agency stating, “To me, Jerusalem is a red line, and all my people are with me.” King Abdullah added, “No one can pressure Jordan on this matter, and the answer will be no. All Jordanians stand with me on Jerusalem. At the end of the day, Arabs and Muslims will stand with us as well.” Well, he sure knows how to draw a line, but one must wonder where he draws his line. These comments came following an Israeli court ordered the closure of the Golden Gate, also known as the Gate of Mercy, where the Waqf recently erected a mosque illegally. Even the Waqf requires building permits and approval of the designs for any new structure, but they believe they are above such petty things as laws. Additionally, Jordanian lawmakers are insisting that the Israeli ambassador be expelled from Jordan in protest to the Jewish presence preventing their complete mastery over the Temple Mount and by inference, Jerusalem. Should this latest temper tantrum be acquiesced to by Israeli authorities, then whatever comes next will be that much more difficult to stand against. The Islamic attempts at encroachment and territorial expansion go beyond the Temple Mount to include illegal building in Area C in the Shomron, illegal outposts and settlements in the Negev and illegal structures erected in the Galilee. We know that the only illegal structures and settlements which have been reported in your news are the Jews who are residing in Area C which is completely legal under the Oslo Accords as Area C was placed under Israeli control, not Palestinian Arab control, and legal under International Law which recognized the treaties from post World War I which assign all lands between the Jordan River and the Mediterranean Sea to be used for the Jewish State and they remain Israeli lands until Israel formally signs a new treaty forfeiting the Israeli claims and ownership over such lands. All we will add to this is research the San Remo Conference and related material and all will become clear and you will realize that you have been spoon fed lies by the media, surprise, surprise. Should King Abdullah II of Jordan actually stand behind every implication of his threats, then perhaps he should be warned that Israelis are losing their patience with the entirety of the offensive and disrespectful attitudes and treatment they have put up with for the past seventy-plus years. We and our governing representatives have bent over backwards in attempts to find some middle ground where the two sides could come to an agreement. All which has come from these attempts have been land grabs, demands, threats, rioting and an all out offensive through propaganda and use of international bodies all in attempts to chop Israel into little pieces which Islamic forces could then gobble up one after the other until all Israel and her Jews are gone. That is a dream of yours which will become a nightmare of Biblical proportions for the Islamic interests and may result in Israel cleansing the foreign entities from her legal lands. This would push the Palestinian Authority and all that entails across the Jordan River and into Jordan where Abdullah II can be their king which he apparently is so fixated on becoming. As for Gaza, as it is obvious that Egypt would resist allowing them to be pushed into the Sinai Peninsula, we could arrange for transport by ship to their benefactors lands in Iran as Israel turned the area into one of the world’s best vacation regions. We are aware that the recent election madness going on in Israel gives the Arabs hope that the Jews will fight one another and make their task for erasing them all the easier, do not count on this as we may argue amongst ourselves, but when the time comes, we will be as one. We also advise that the forces which believe that Israel is weakening and about to elect a governance which will fall before their Islamic overlords and simply fold giving them everything they desire, wait until the results come in before believing what you read about polling in Israel. Polling has become more and more suspect throughout the Western world and this is another area in which Israel took the lead. Simon Peres won virtually every poll when running for Prime Minister yet he was only elected to the position once plus held it for a short period after the death of the sitting Prime Minister, Yitzhak Rabin. Israeli polling is almost universally slanted leftward, which may be due to methodology or the questions asked and their phrasing. Israelis almost always go through several phases of trauma while vacillating between which person and party they plan to support before finally, and more often than not, voting for the same party they did last elections. Still, there has been a noticeable shift towards nationalism, Zionism and an increase in the percentage of religious Israelis in the electorate. This will be depicted in full spectral color once the results of the election are known and the post election second guessing as to who President Rivlin will choose to try to form a coalition first as well as who, in the final measure, will actually succeed in forming a coalition and as to how strong and unshakeable that coalition will prove in being. The one thing we can guarantee is that the coalition after the elections cannot be any weaker than the last coalition which consisted of the smallest any coalition can be under Israeli law, sixty-one Ministers out of the one-hundred-twenty possible. The end result of the challenges of the Temple Mount will eventually result in the Waqf being deported back to Amman where they can explain to King Abdullah II exactly what happened and why they are appearing before him. We would not wish to be in their shoes and have to find some excuse. The same will eventually be the result with the Palestinian Arabs. The ones under the Palestinian Authority will probably be the more fortunate as they will be offered payment for their properties and receive an additional relocation allotment, likely a generous one, and be required to sign a pledge that neither they nor their families will return to the regions within the Israeli border and that they had received suitable recompense for their relocation. As for those in Gaza, should they remain tied to Hamas and Islamic Jihad, then they will be considered terrorists and as such simply be deported when the rockets and other destructive efforts originating from Gaza exceed Israeli tolerances. Name another nation which would have tolerated the threats, terrorism, murders and destruction caused by the Islamic war against Israel being waged by the Arab Palestinians (and some allies from within Israel) for anywhere near as long as Israel has already, and we have yet to remove them. With far less provocation, the Chinese sent tanks to Tiananmen Square. With just the liberalizing of laws and reducing communist restrictions by a new government in Czechoslovakia brought on the Soviet Invasion of Czechoslovakia in 1968 by Leonid Brezhnev and the USSR. All it took from Tibet was a few monks were chanting too loudly and far too freely, which brought on a massive conquest throughout 1949 and 1950 by China. We could continue with other relatively recent historical and numerous ancient historical military conquests and other forms of suppression which were in response to far less of a provocation than what Israel has faced, yet Israel has always attempted to find a settlement and peace, which will be denied as Islam does not share the Israeli love of peace, they love conquest and subjugation of all that stands as part of Dar al-Harb, which simply denotes that which is outside of Dar al-Islam. It would serve the Arab Palestinians, the Waqf and Jordanian King Abdullah II far better to find an agreeable compromise with Israel before Israel figures out that they do not desire an agreeable compromise, merely complete surrender and acceptance of Islamic subjugation eventually followed by convert or die options. When a sufficient and sizable number of Israelis accept this reality and realize the implication of the only solution which will permit their safety and continued ability to worship as they please, that will begin the end of this entire farce and the establishing of Israel on all of her land with a finality that ends any idea of continued conflict. Such a day may not be as far into the future as most people believe. The one thing we can guarantee is that the United Nations, European Union and very likely the United States will all stand demanding that Israel return to her previous state of constant threat and apologize for choosing life and rejecting threats of their death which currently are common fare from the Palestinian Arabs and many in the Muslim world with Iran as a perfect example.